Late goals from Ousmane Dembele and Luis Suarez earned La Liga champions FC Barcelona a 3-2 win at struggling Rayo Vallecano on Saturday. The victory helped to keep them clear at the top of the standings. Suarez slotted in a cross from Jordi Alba from close range to give Barca a deserved lead in the 11th minute. That was after they had made a flying start at a ground where they had eased to victory in their previous five visits and had not lost since 2002. But Rayo, 19th in the table and with only one win all season, fought their way back into the game and midfielder Jose Pozo smashed an equaliser in off the post in the 35th minute. Rayo winger Alvaro Garcia sent the raucous home fans into delirium early in the second half by stabbing his side in front on the rebound. Striker Raul de Thomas had struck the post with a diving header. Barca might have had a sense of deja vu from their shock 2-1 defeat in Madrid by Leganes two months ago in which they also threw away the lead. The Catalans adopted no nonsense tactics to get back into the game, throwing defender Gerard Pique up front and playing frequent high balls into the box. Substitute Dembele got Barca out of trouble with a perfectly struck half volley in the 87th minute after a knockdown by Pique. Suarez, who scored a hat-trick in last week’s drubbing of Real Madrid, completed the comeback three minutes later. 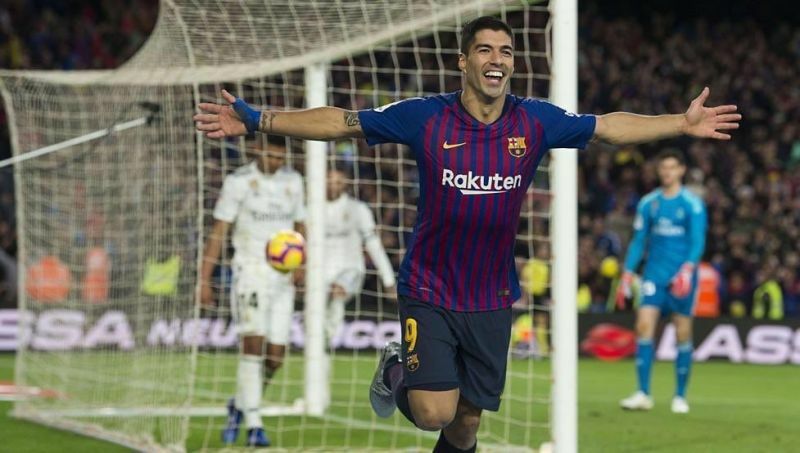 He arrived at the far post to steer in a cross from Sergi Roberto, striking a fifth goal in two games and a ninth in total to move top of the league’s scoring charts. Ernesto Valverde’s side lead La Liga with 24 points, four ahead of Atletico Madrid. Alaves can move within one point if they beat Eibar on Sunday.